The Americans and Red Coats battle it out for a Revolutionary War re-enactment this weekend at Cantigny Park in suburban Wheaton. 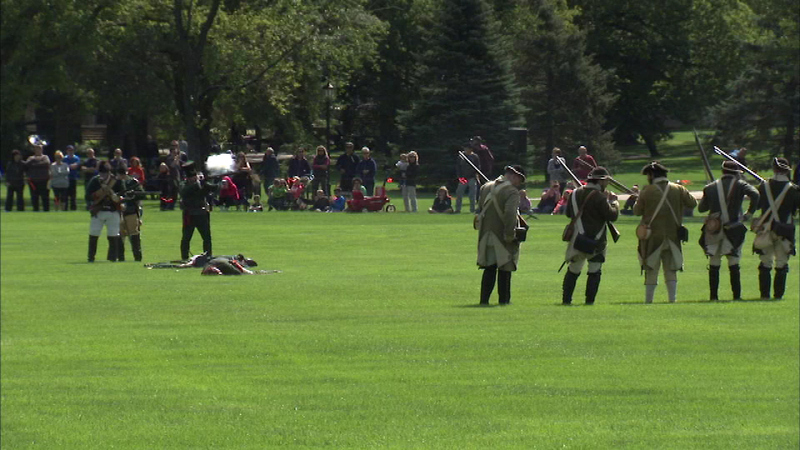 WHEATON, Ill. (WLS) -- You might know who wins, but it's still fun to see the Americans and Red Coats battle it out for a Revolutionary War re-enactment this weekend at Cantigny Park in suburban Wheaton. Hundreds of actors are taking part and some are even camping out at the park. Visitors can also stroll through an encampment to see how civilians and soldiers lived at that time.